This style is called "Denim Days"...... A classic shade of medium wash blue denim. 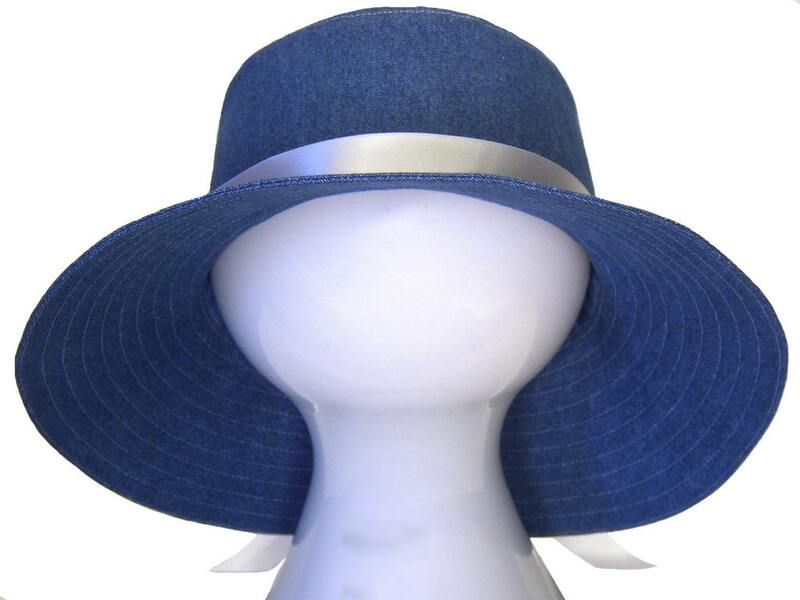 A good, sturdy, go-everywhere, go-with-everything hat made with high quality medium weight denim and so comfy. The new, unused fabric has been pre-washed and pre-shrunk before cutting. The twist with this floppy hat.... Instead of the usual classic goldenrod thread for top-stitching....this hat is topstitched with white thread! A nice winter hat to wear with your denim and whites or pastels. Accented with a matching white double-faced satin ribbon that is shiney on both sides and can be cut/trimmed without fraying. It isn't permanently attached so it can be retied, removed, or swap it for another color. Navy blue grosgrain band on the pretty, white-on-white floral print lining. 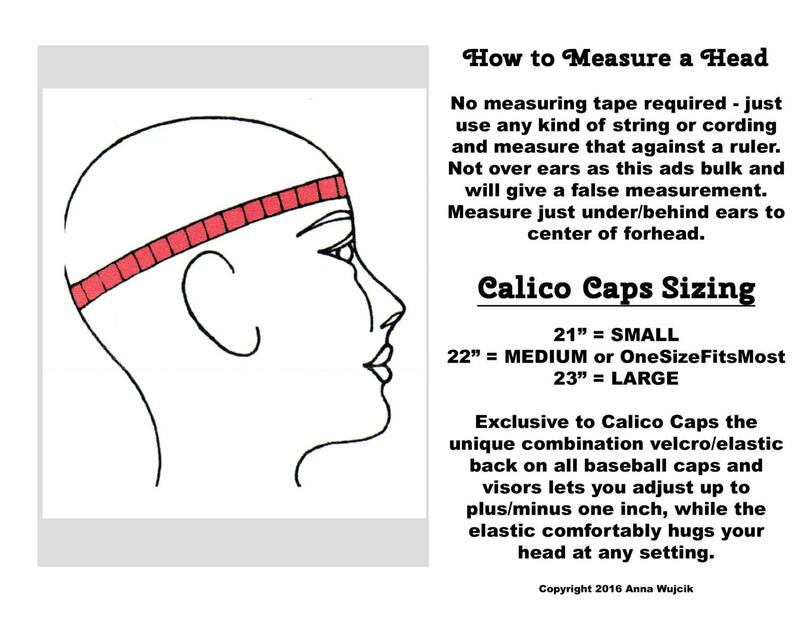 This hat has an inner circumference of 23.25 inches. THE FLOPPY HATS are sized a bit larger than the baseball caps to be very comfortable (and not smash your hairdo). 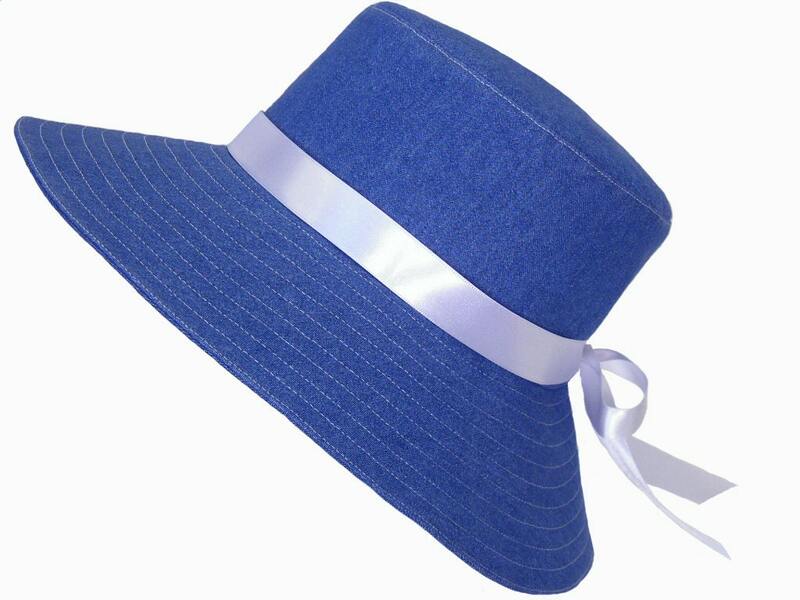 This floppy hat has an inner circumferance of 23.25" fitting a range of 22" - 23 1/2" very nicely. They are cut on the bias to give them a bit of flexibility, but not an elastic "stretch". The double-faced satin bow is shiney on both sides and can be cut/trimmed without fraying. It isn't permanately attached so it can be retied or removed.